Home » General Health » What Is Pulmonary Embolism? Pulmonary embolism occurs when there is a blockage in a lung artery—typically when a blood clot gets wedged in one of the lung’s pulmonary arteries, partially blocking blood flow to the lung. Pulmonary embolism can be life-threatening, but quick, efficient treatment can reduce the risk of death. Taking strict measures to prevent blood clots in your legs can also help protect you from developing pulmonary embolism. 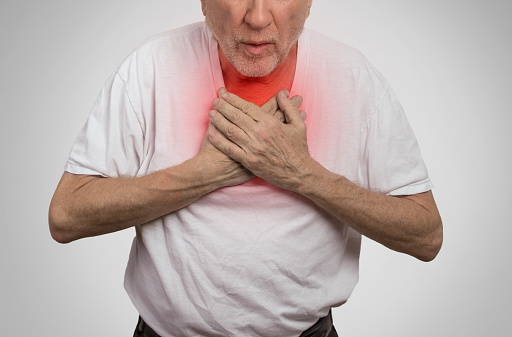 Chest pain: The pain may be so bad that you may feel like you’re having a heart attack. The pain can get worse if you take deep breaths, cough, or bend over—it might not even go away when you rest. Cough: The cough may produce bloody or blood-streaked mucus. Shortness of breath: This symptom usually happens suddenly and can get worse with physical exertion. Air bubbles: Air bubbles can get trapped in a blood vessel and prevent blood flow to the lungs. Tumor: Small parts of a cancerous tumor may break off, causing a disruption in blood flow. Fat: Fat from within the marrow of a broken bone. 1. Medical history: If pulmonary embolism runs in the family, you are at a higher risk of getting it. Other medical conditions may increase your risk as well. For example, heart disease, specifically heart failure, can make blood clot formation more likely. Cancer, in particular cancers that spread easily to other parts of the body, can increase substances that help form blood clots. Chemotherapy and the medications tamoxifen and raloxifene also contribute to a higher risk of blood clots. 2. Prolonged immobility: Blood clots are more prone to occur in your legs when you are inactive. For example, sitting in a cramped position in a plane or a car for a long period of time can slow blood flow and lead to blood clots in the legs. Furthermore, if you have been ordered to stay in bed for a long period of time (such as after surgery or due to a serious illness) you may be more susceptible to blood clots, because of the low blood circulation flowing through your legs. 3. Surgery: Surgery is one of the leading causes of troublesome blood clots, particularly hip or knee surgery. During surgical preparation, tissue debris may enter the bloodstream and contribute to the blood clot. 4. Extra weight: Extra weight can increase the risk of blood clots, especially for women who have high blood pressure and who smoke. 5. Pregnancy: A baby’s weight can press on the veins and slow blood return from the legs. Blood clots have a higher chance of forming when blood slows. 6. Smoking: Tobacco use makes some people more susceptible to blood clot formation. Blood thinners: Blood thinners will help prevent new blood clots from forming while the body works to break up the clots. Some blood thinners can be given by injection through a vein or inserted under the skin. Clot dissolvers: These are medications that are given through the vein to help dissolve clots fast. These medications can cause severe bleeding, so are typically reserved for life-threatening situations. Clot removal: Your doctor may remove a large, life-threatening blood clot using a catheter—a thin, flexible tube that is inserted through your blood vessels. “Pulmonary embolism,” Mayo clinic web site, March 18, 2015; http://www.mayoclinic.org/diseases-conditions/pulmonary-embolism/basics/treatment/con-20022849. Tags: Lung Cancer, Pulmonary Embolism, Pulmonary Embolism Risk, Pulmonary Embolism Treatment.